This is the Broadbeach Market in Queensland, Australia. It is normally on the first and third Sunday’s of the month. 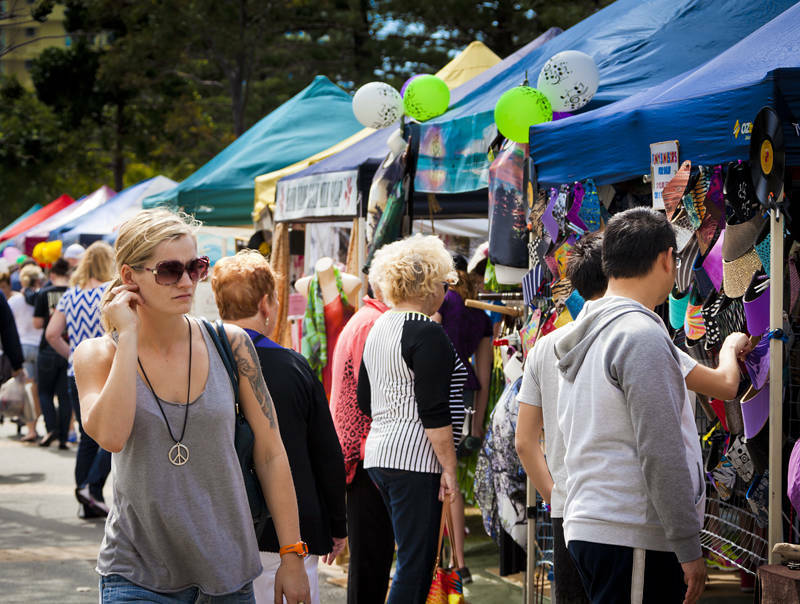 On this occasion the market was at Broadbeach on Saturday due to the Jazz Festival. Since moving in 3 weeks ago we have not had any rain in Southport although the forecast is for isolated thunderstorms this afternoon. The Gold Coast has a subtropical climate which means you are almost guaranteed a mid 20′s C day temperature all year round. We have yet to experience the humid summers they have, but the dry winter days here are very pleasant.